The perfect lighting feature for relaxed interior styles the Walnut Layered Ceiling Pendant Light is an art-inspired piece that will rock your world. 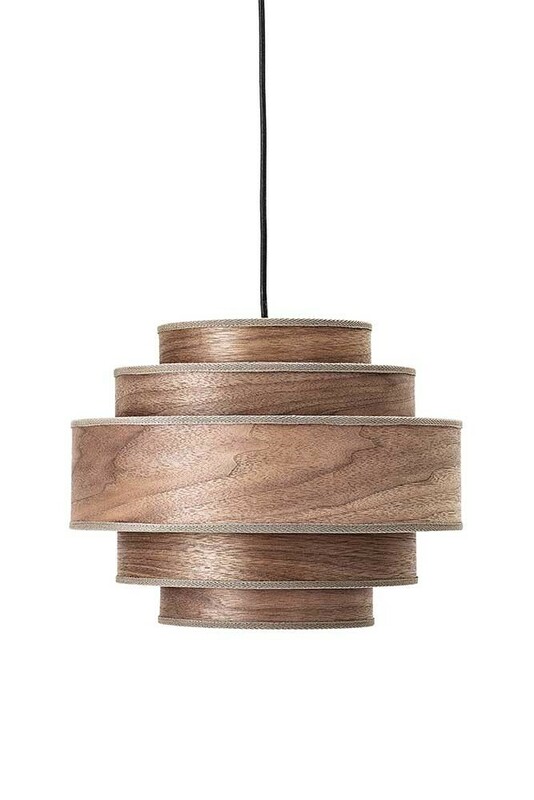 Reminding us of shaved wood, the Walnut Layered Ceiling Pendant Light features soft curves in a honeycomb tiered shape. With a black flex, the dark wood ceiling light is made from walnut, PVC and iron. 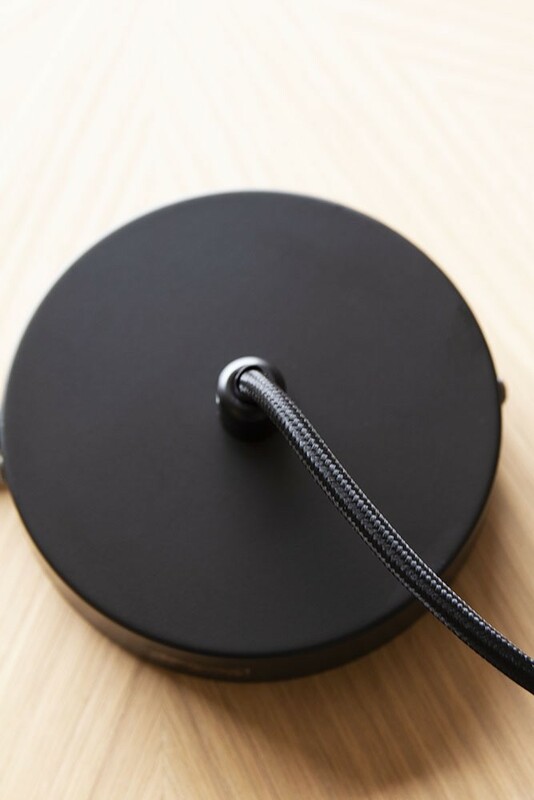 The statement ceiling light measures 35cm in diameter x 28cm in height. The black flex measures 250cm in length. 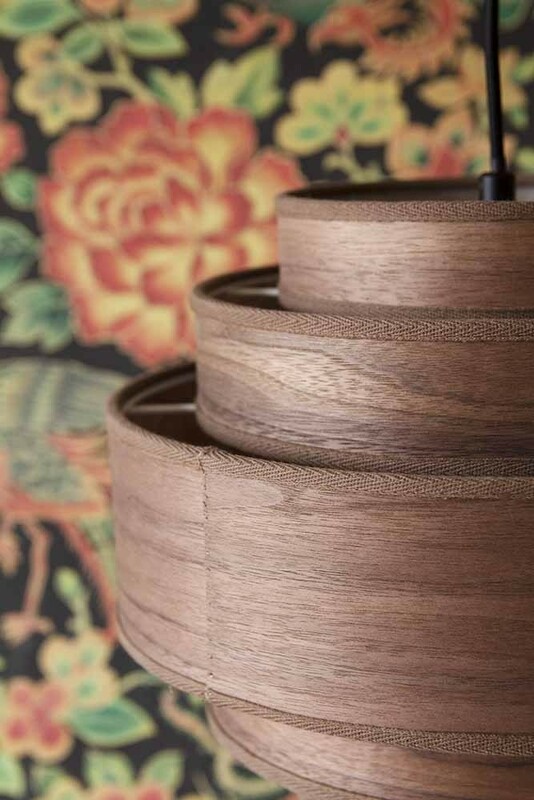 The 5-Tier Walnut Ceiling Light requires a E27 Max. 40W bulb. The ceiling rose is included with the pendant light. 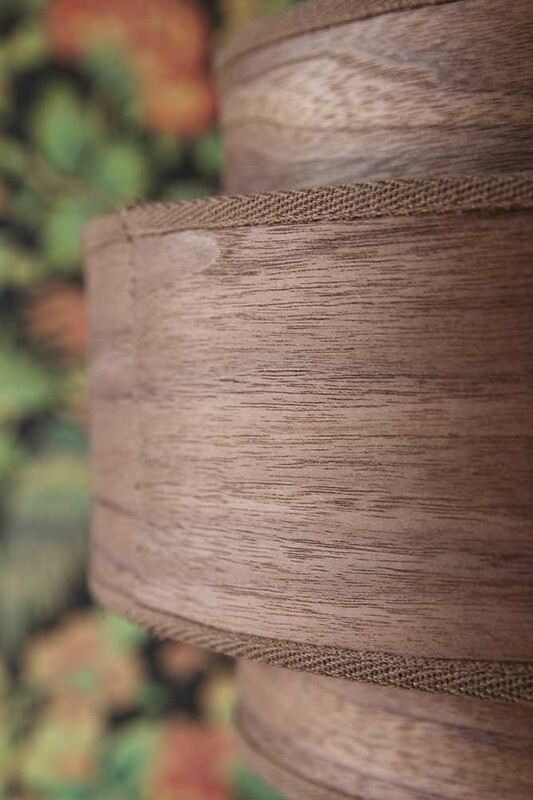 If you are looking to embrace a grounded and eco vibe in your home interiors, then the Walnut Layered Ceiling Pendant Light is the perfect addition to your home. A beautiful light feature the curved tiers of the walnut ceiling light will blend seamlessly with your décor and will enhance that feeling of peace and calm in your living rooms, bedrooms, hallways and offices. To really create an ambient atmosphere in your home, install a dimmer switch into the central light fitting and this shade will radiate a warm glow into your home. 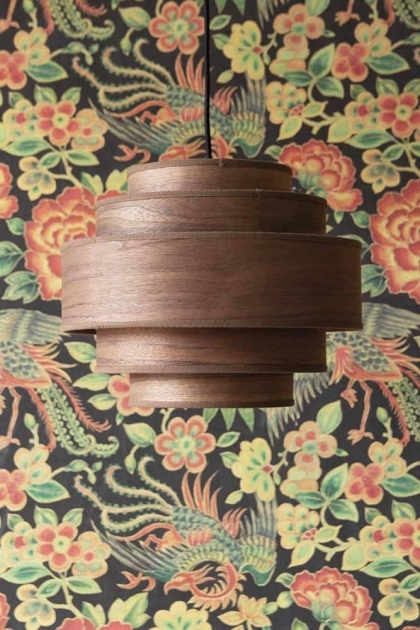 The perfect blend of beauty and function this unique light is suitable for a range of décor styles including Oriental Maximalism, Contemporary Décor, Bohemian Styles and Rustic Interiors. Hang your new walnut ceiling light in your hallways and living rooms or in your bedrooms for a striking look. Or alternatively, hang the swirl shape ceiling light over your dining table as a statement ceiling light that will draw the eye upwards and wow your family and guests as soon as they walk into the room.